1 Gallon Treats: Approx. 4 acres (174,000 sq. ft.) 1-2-3 HydroSeedTM - The Professional's Choice for all Turf Grasses. 1-2-3 Hydro-Seed is mixed on site and added to the water used to make the slurry for hydroseeding. Make as much as you need, when you need it....it's always fresh. A concentrated liquid added to your tank to boost germination and root growth, enhance plant defenses against disease and drought, improve soil moisture retention and increase nutrient and water absorption. Contains a range of more than twenty turf specific symbiotic Rhizobacteria, plus dense populations of proven Endo Mycorrhizae and Mycorrhizae Helper Bacteria (MHB). This is a complete and balanced bacterial / fungal mix specially formulated for hydroseeded and overseed turf applications. Benefits include enhanced turf resilience to disease and drought, increased nutrient and water absorption. Increased microbial biomass in the soil enhances aggregation and thus improves soil porosity and structure as well as releasing growth promoting auxins, cytokinins, gibberelins, and improving nutrient cycling in turf ecosystems. Fertilizer costs out of control? How would you like to reduce or eliminate the need for expensive nitrogen inputs and reduce phosphorous runoff problems at the same time? 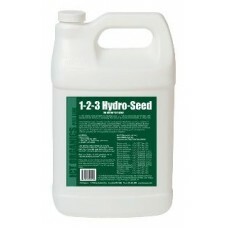 With 1-2-3 HydroSeed as part of your hydroseeding tank mix you can. And, you can eliminate wasted labor too. Just one gallon of 1-2-3 HydroSeed is equivalent to 16 bags of dry bagged fertilizer! No more watching crews loading and unloading pallets - just pour and go! Why watch all your hard work and profits wash away? With 1-2-3 HydroSeed you can almost watch the roots grow long and thick - watch Kentucky Bluegrass begin to germinate in only 5-7 days. Ideal for those high visibility locations. Cut your fertilizer costs by half or more - just 32 oz. of 1-2-3 HydroSeed per acre. Increases germination rates, early root growth of hydro turf which makes for improved grow-in and long term health of grasses. 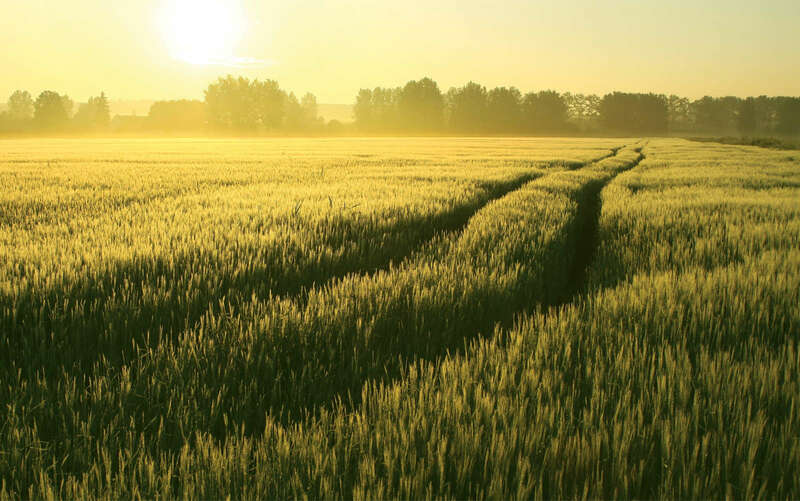 Product contains a range of more than twenty turf specific symbiotic Rhizobacteria, plus dense populations of proven Endo Mycorrhizae and Mycorrhizae Helper Bacteria (MHB). This is a complete and balanced bacterial / fungal mix specially formulated for hydroseeded and overseed turf applications. Benefits include enhanced turf resilience to disease and drought,increased nutrient and water absorption. Increased microbial biomass in the soil enhances aggregation. Improves soil porosity and structure as well as releasing growth promoting auxins, cytokinins, gibberelins, and improving nutrient cycling in turf ecosystems. Product can be sprayed onto new seed when over seeding. Excellent for those difficult jobs.